"The RockWalk is not about popularity. It's about influence; how many musicians you influenced, not how many records you sold." 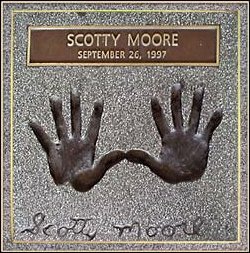 On September 26, 1997 Scotty was inducted into Guitar Center's RockWalk in Hollywood along with Chet Atkins, James Burton, Duane Eddy, and Hank Garland. Though inducted on that day Hank didn't cast prints at that time. 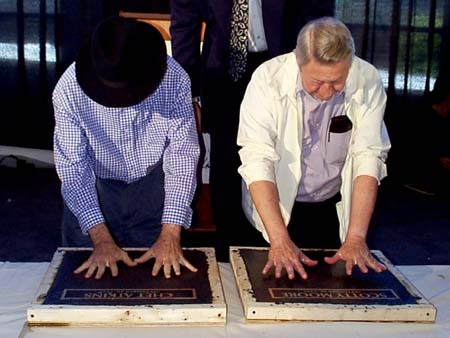 The ceremony was held at the Country Music Hall of Fame in Nashville and the event was emceed by country music journalist Robert K. Oermann who described the inductees as not only "...the best guitarists you'll ever hear, but the nicest guys you'd ever want to meet." 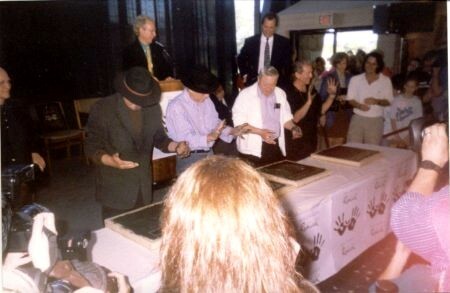 Among the fans and friends on hand to cheer them on that day were Webb Wilder, Dave Pomeroy and Peter Frampton. 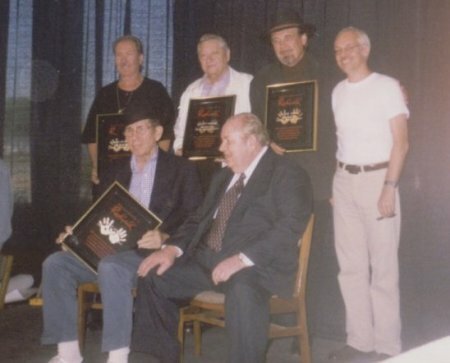 Hank and Scotty performed and recorded together with Elvis. He and fellow Nashville session guitarist Billy Byrd in collaboration with Gibson designed the Byrdland guitar. 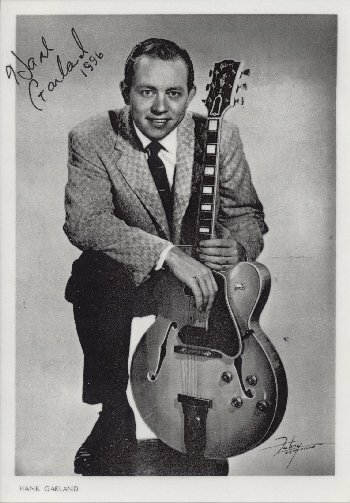 Already renowned in Nashville as a country session player he was beginning to make his mark in the Jazz world when tragically, Hank's professional career as a guitarist was cut short in 1961 in an auto accident near Nashville that nearly claimed his life. Severe brain damage claimed most of his motor skills and it would be years before he would relearn the guitar from scratch. Sadly, Hank passed away on December 27, 2004 in Orange Park, FL. He was 74.